Busy, fun and learning all of the time is a great way, to sum up, a toddler. Toddlers are very busy with limited attention spans so it is awesome finding crafts that hold their attention. 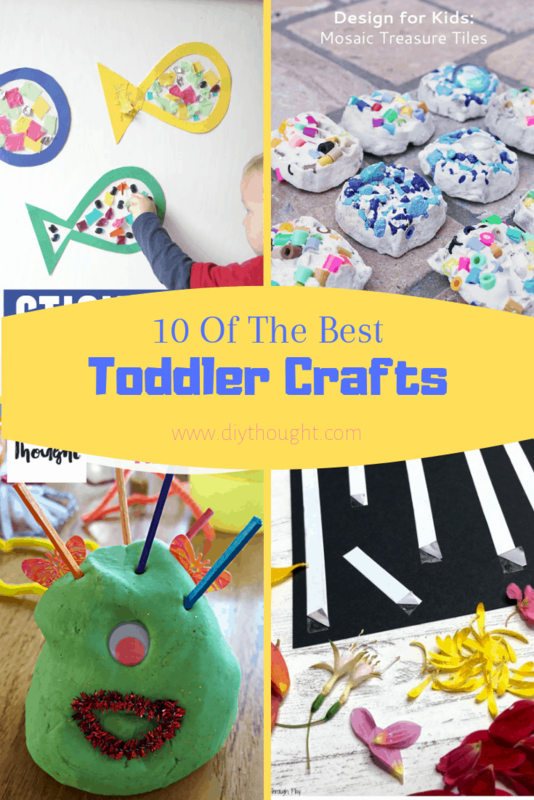 Today we have found 10 of the best toddler crafts around. 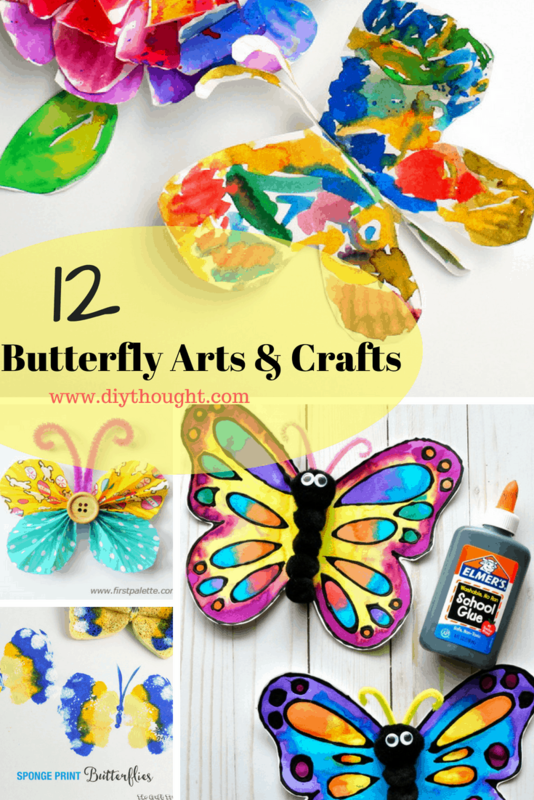 These crafts are all easy and enjoyable for toddlers with only a bit of help from an adult. Try them out, adapt them and make them an awesomely fun learning time for both you and your toddler. 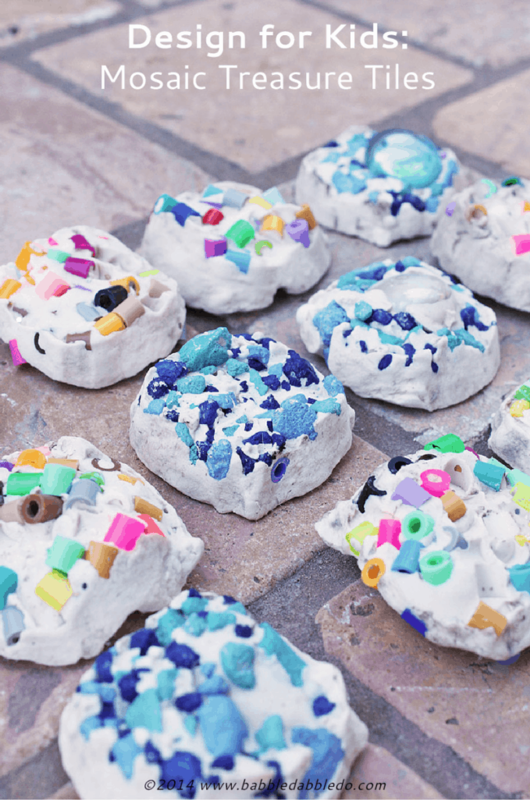 Little hands will love creating with ice paints! This is a simple activity that isn’t complicated to set up and really only requires supervision to ensure the non-toxic paint don’t get eaten. Set up the sprinkler to wash off in afterward and you have a perfect toddler-friendly morning sorted! Visit One Savvy Mom to find out more. Use contact paper for a sticky background for your toddler to stick all sorts of cut up pieces of paper and gems too. 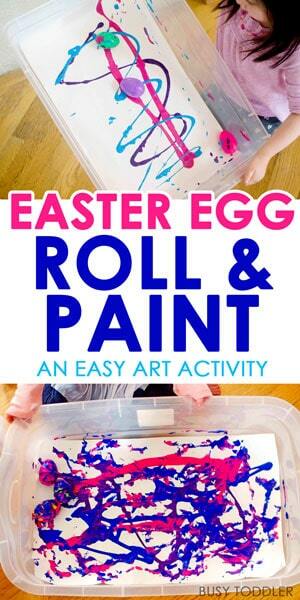 A super simple activity that toddlers will love. Head over to Toddler Approved to find out more. 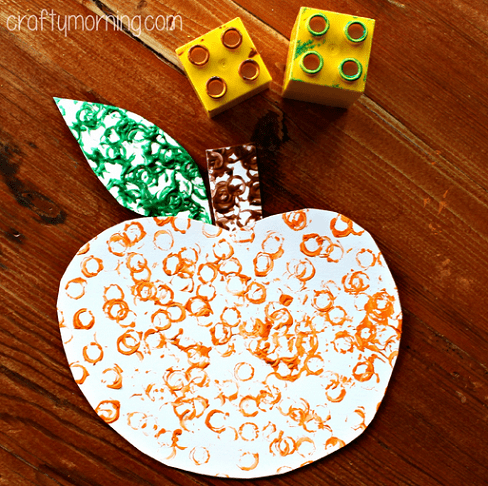 Use a lego block to paint a cute apple or any other shape! This is a fun painting technique that is sure to be loved. Visit Crafty Morning to find out more. The roll and paint technique is fun any time of the year. Here plastic Easter eggs have been used and the final dried artwork has been turned into easter eggs. This art technique is great to make homemade wrapping paper and cards. Head over to Busy Toddler to find out more. Toddlers will love exploring the outdoors to gather their own nature supplies for this fun craft activity. Using double sided tape children stick on their nature gatherings to create unique pictures. Click here to read the full tutorial. This rain cloud is just the cutest! 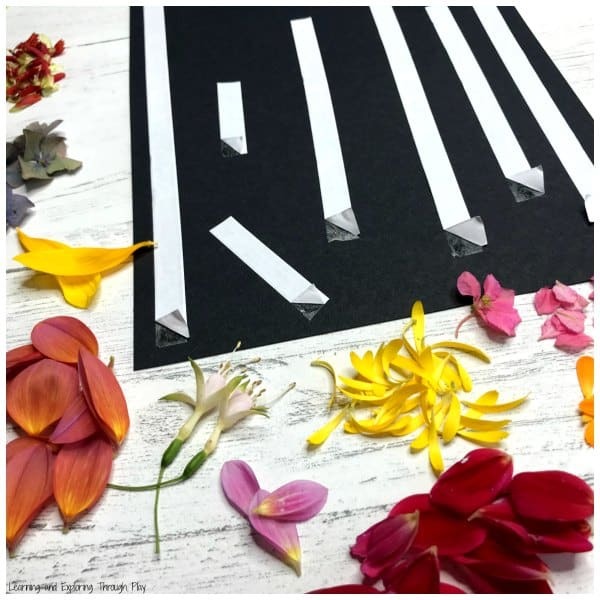 A little help will be needed with this toddler craft but the results will be well worth it! Head over to My Bored Toddler to find out more. What is so great about this craft is the range of ages that will enjoy making mosaic treasure tiles. Toddlers can craft beside their older siblings and create mosaic tiles to be proud of. Follow this link to get the full tutorial. 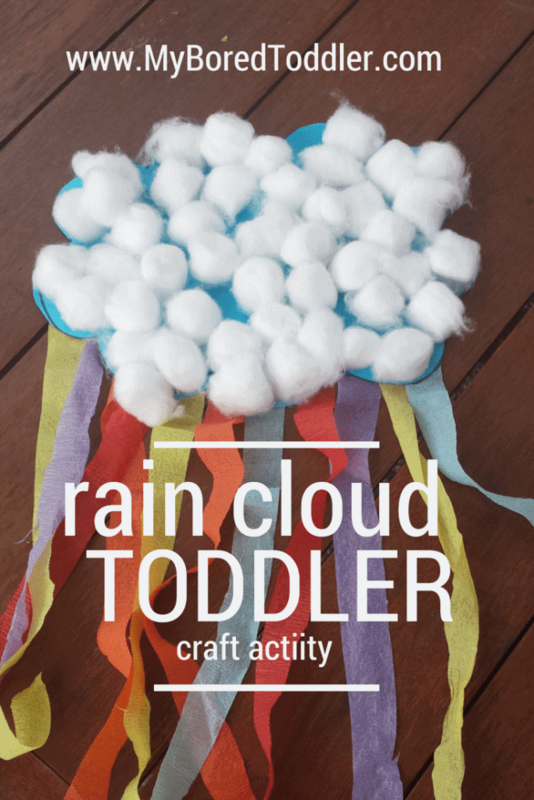 Another craft that is fun for all ages. 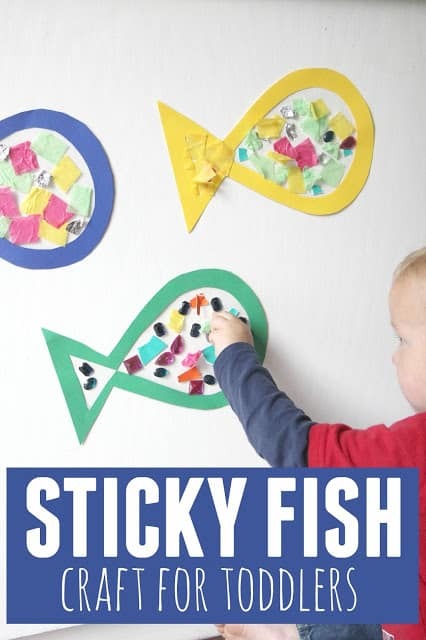 This is a great craft for older toddlers to help them with their fine motor skills and introducing holding pens. Make sure to supervise this activity to protect the child and surface used from the permanent markers! Follow this link to read the full tutorial. Most toddlers love stickers. 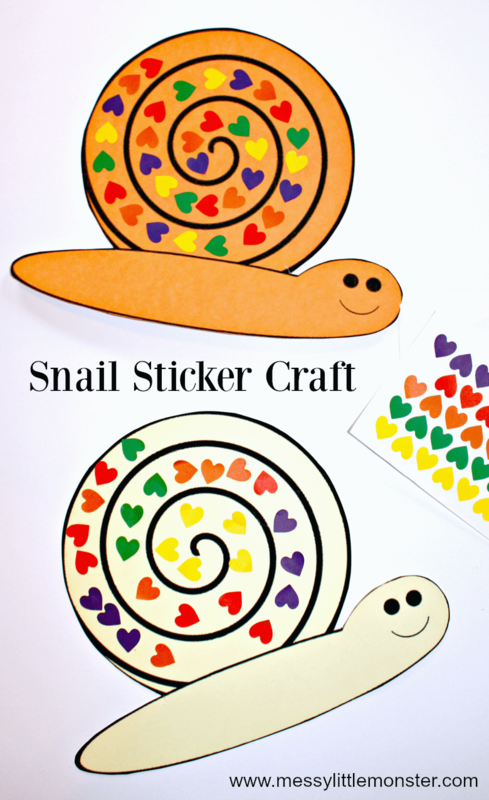 This snail printable from Messy Little Monster is a fun way to use stickers to help with fine motor skills. Alternatively, design your own image to decorate with stickers. It doesn’t have to be anything tricky, a fun heart perhaps! The entire process of making playdough monsters for toddlers is exciting. 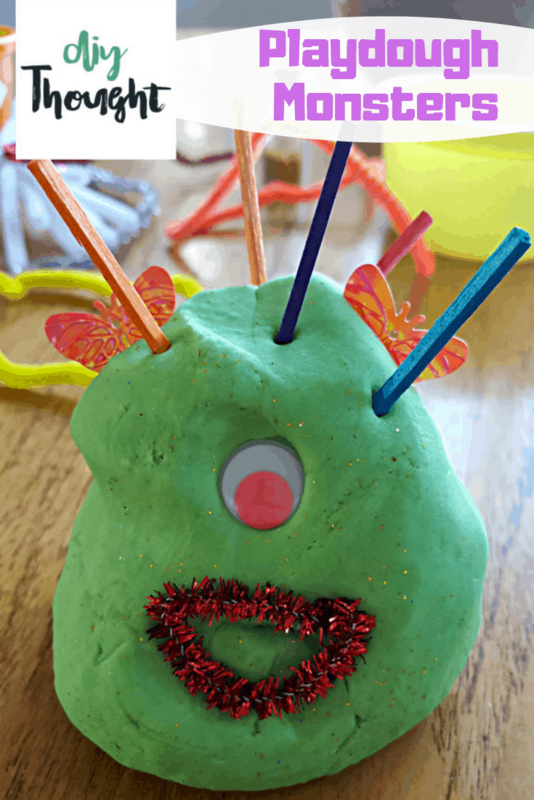 From the beginning, making the playdough then squishing the playdough and finally turning it into a funny monster. Get a super easy playdough recipe right here.